Lots of fruits! 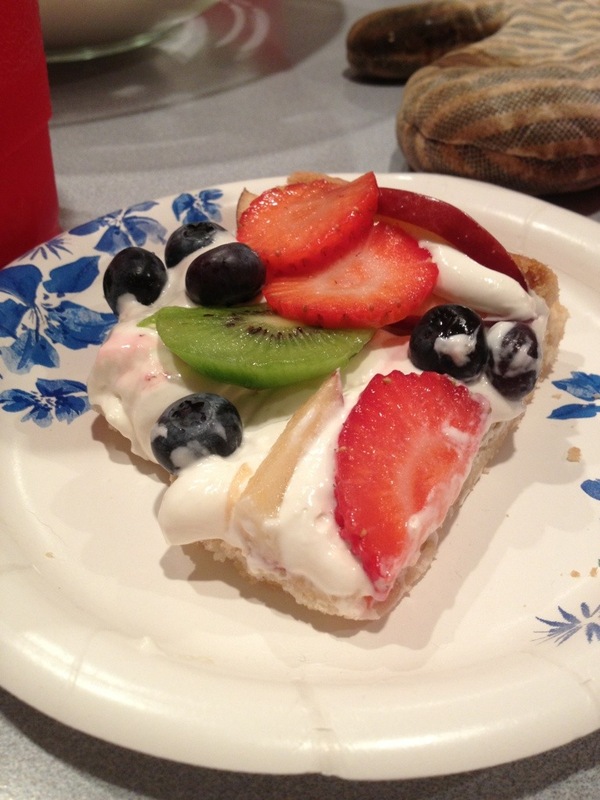 Strawberries, kiwis, blueberries, apples! Press the cookie dough into a thin pan that has the edges all the way around. Cook like the package says. It may take a little bit longer, be sure to check. 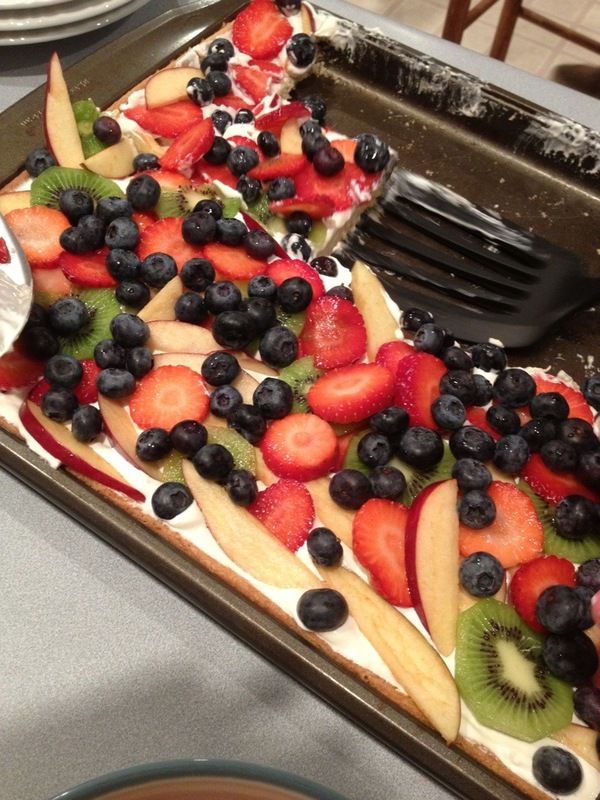 Once done, whip up the cream cheese frosting then layer on the fruit. Super easy.